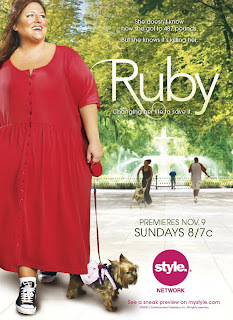 Lately, I’ve been loving watching a reality show, RUBY, on the Style Network. It’s a show about Ruby Gettinger a 500-pound blooming Steel Magnolia from Savannah weight loss journey. I’ve become her fan, and am passionately rooting for her success. The first season she managed to lose over 100 pounds. This week on episode 2 of Season 2, she’s hit a weight loss plateau at about 350 pounds. (Emotionally she’s never weighed less than 350 during her entire adult life, and she’s having back and knee pain when exercising on the treadmill.) So what’s the hitch as she is working out diligently, and eating a prescribed, healthy meal plan? One of the most common frustrations in weight loss is when all progress halts, despite the fact that you are diligently following a smart plan. Such plateaus are predictable and explainable. Why? Because Basal metabolic rate (BMR)—the energy required to keep the heart pumping, lungs expanding, kidneys filtering and all other vital bodily functions going when the body is at rest—accounts for 60 to 70 percent of the calories you burn and depends, for the most part, on body mass. When weight-loss occurs, body mass goes down. Therefore, so does BMR. Consider an example: You weigh 162 pounds and eat 1,900 calories a day. To lose a pound a week, you've got to cut between 500 and 600 calories per day. So you restrict yourself to 1,400 calories, and the weight comes off. But suddenly, after week six, the scale refuses to budge. This is because with the weight loss, your BMR has also declined, and where your body used to burn 1,368 calories per day, now it's using only 1,080. At this weight, there's less of you to move around, so you burn fewer calories working out and waste fewer calories as heat. All in all, your daily calorie expenditure is now pretty close to what you're taking in. You've hit a new—and probably very annoying—equilibrium. Once you've hit a weight loss plateau, how can you get past it? Here are 6 steps to help get the needle on the scale moving again in the right direction—that is downward. If you've hit a weight loss wall get my 6 simple weight loss steps to begin moving again downwards at Make Healthy A Lifestyle at http://www.LindaLaRue.com.